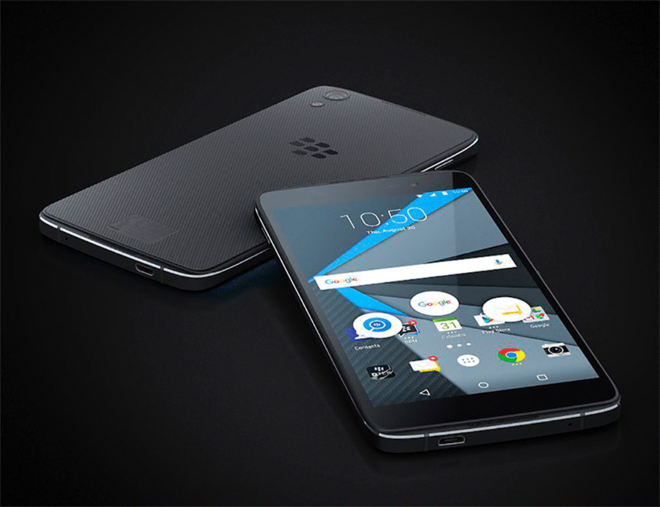 Today BlackBerry took the wraps off of its second Android phone, the DTEK50. The device is sold unlocked and advertised as being compatible with T-Mobile, but when it comes to unlocked devices, we often wonder exactly how compatible they are with T-Mo. Now we’ve got an answer regarding the DTEK50. BlackBerry has confirmed to me that the DTEK50 includes support for T-Mobile’s Voice over LTE (VoLTE) and Wi-Fi Calling. When it comes to cellular connectivity, the unlocked DTEK50 supports HSPA+ bands 1, 2, 4, 5, and 8 as well as 4G LTE bands 1, 2, 3, 4, 5, 7, 12, 17, 20, 29, and 30. When BlackBerry launched the unlocked Priv last year, it made that device compatible with T-Mobile’s VoLTE and Wi-Fi Calling, so it’s not a huge surprise to see that the DTEK50 supports those features, too. It’s still good to see, though, as not every company that sells unlocked phones goes through the effort to add support for T-Mo VoLTE and Wi-Fi Calling to their devices. The BlackBerry DTEK50 is now available for pre-order for $299, and buyers will get a BlackBerry Mobile Power Charger with a 12600mAh battery along with their phone. The DTEK50 is slated to begin shipping the week of August 8. And win 10 mobile upgrade for Lumia 640s……??? Awesome! Thank You for the update. I may get this. If not for me atleast for my Mother who will be coming over from Verizon. I’d like to know if this phone supports CA and if it has a removable battery. I read somewhere that it has a soft-coated plastic back. Hopefully not, I hate soft-coated plastics. Since this is, reportedly, a rebranded Alcatel Idol 4, maybe some of you knows the answers. then 90% of the market is behind. Not when referring to newly released Android phones. Which is what this phone falls under. so basically the nexus phones, another niche market….im ok with not having to replace all of my cables, as are most people i think. And the HTC 10, Moto Z, Galaxy Note 7, G5, and the OnePlus 2 just to name a few. eh. big deal. the usb cable doesnt effect the function of the phone. most normal users probably dont notice or care. No it doesn’t but it provides advantages over micro USB so to me it is a big deal. Now go troll someone else. Make sure you know what you’re talking about before you do though. Have a nice day. How am I trolling? You’re making a big deal over something that doesnt matter to the majority of people. You’re just hating on a phone because it’s missing something that in the grand scheme of phone specs means not a thing. Come back when you actually have something constructive. Apparently this phone is not white papered by Tmo and will not allow wifi-calling? What’s the deal Alec? I can confirm Wi-Fi calling is NOT working on the T-Mobile network. VoLTE, Wi-Fi Calling and Band 12 are not working on T-Mobile! Phone shows a setting for VoLTE support and even if the toggle is turned on, it still falls back to 3G when making calls.